Asbestos-Containing Materials in Your Home? Tips on what you can do to identify and contain asbestos risks in your home. For many years, asbestos was prized for its flame retardant and insulating properties. It was added to all kinds of materials, including many home building supplies. We now know that this wasn’t the greatest idea, since asbestos fibers are known to cause serious, even fatal, diseases when inhaled, and asbestos use has declined significantly. However, we still have to deal with the legacy of historical asbestos use. Asbestos-containing materials can be found inside and outside, and are most common in homes built prior to 1978. Some common asbestos-containing materials include roof felt & shingles, window putty, vermiculite insulations, batt insulation, vinyl flooring, popcorn ceilings, boiler & pipe insulation, and electrical insulation. The good news is that the mere presence of an asbestos-containing material in your home should not send you into a panic. Asbestos-containing materials do not pose an active threat to human health unless they are damaged. At this point, asbestos fibers may be able to escape from the matrix of the material, become airborne, and contaminate your home with dangerous asbestos dust. If you discover an asbestos-containing material on your property, it is important to assess its condition carefully. If it is already damaged or likely to become damaged in the course of a renovation or other activities, you should contact a professional. When it comes to containing the dangers posed by damaged asbestos-containing materials, you may have several options. You might be able to encapsulate the material inside another material to prevent any fibers from escaping, or you might need to remove the material entirely. In either case, H2 Environmental can help. We can advise you of the pros and cons of various options and then create a safe and legally compliant plan for accomplishing the work with the help of certified contractors. If you do end up getting asbestos-containing materials removed from your home, you will need to replace them with a safe material that can perform a similar function. 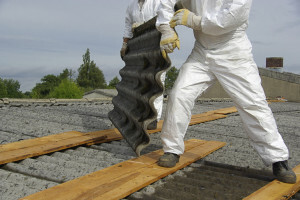 There are several different materials that are commonly used as alternatives to asbestos. 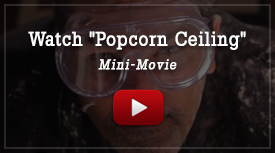 These include polyurethane foam (for home insulation), amorphous silica fabric (for high-temperature insulation), thermoset plastic flour (for electrical or mechanical insulation or adhesives), and chemically treated cellulose fiber (for cement, drywall, and ceiling coverings).